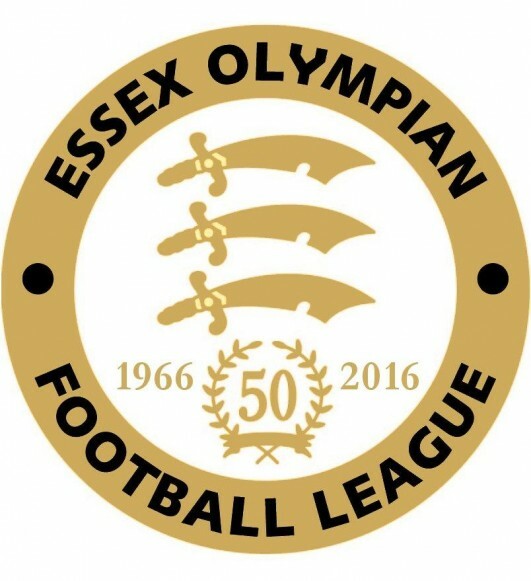 The Prokit UK Essex Olympian League will provide the finalists in this year’s competition after the three remaining Quarter Final ties, held over from last week, all were won by teams from the league. Two all-Olympian ties saw plenty of drama as firstly Galleywood were edged out by Kelvedon Hatch who won the game 2-1 with a late penalty and then an even later winner in the fifth minute of stoppage time seeing them cancel out Harry Bond’s early goal for Galleywood, with Thoe Ola and Steve Willis supplying the Keveldon Hatch goals. The other tie at Polo Fields was finally won by Hutton on penalties after an absolute humdinger with Rayleigh Town that went right down to a penalty shootout. Paul Morris handed Rayleigh the lead but Hutton went on to lead 3-1 at the break. Rayleigh needed a response in the second half and duly found it as Bailey Moss and George Dansie both struck putting the game back on level terms, meaning the game needed extra time. Hutton took the lead in the first lead of extra time, with their goals in the tie being notched by Brad Freeman, Lewis Smith, Tom Stephens plus an own goal. But even that wasn’t enough to put Rayleigh aside as Dansie levelled up in the second period, and then the Hutton ‘keeper pulled off a stunning stage in the closing stages to keep his side in it. The penalty shootout saw both sides score from their opening five kicks, but then Rayleigh had their next penalty saved allowing Hutton to finally book their place in the last four with a 6-5 penalty win. Tiptree Heath were the only non-Olympian team left, but the Essex & Suffolk Border Combination outfit were knocked out by Catholic United: Aaron Baldwin and Tom Hollingsworth scoring the goals in the 2-0 success. Buckhurst Hill complete the quartet of Olympian teams in the Semi Finals, having won their tie at Arlesford Colne Rangers last Saturday. Old Southendian Res. booked their Final place after a 2-0 away win at Extreme United. Ben Franklin and an own goal was how Old Southendian got there, they now await the winners of Westhamians and Leigh Town in the other Semi Final. Bishop’s Stortford Swifts were knocked out at the Semi Final stage, losing on penalties to Belstone after the tie had been deadlocked at 4-4. Lee Samways, Gavin Cockman, Danny Morgan and Charlie Lovell were the Swifts marksmen, but Belstone held their nerve in the penalty shootout as they won it 3-1. Manford Way and Sungate are both embroiled in a fight against relegation; both played on Saturday and both won. Manford Way edged out Leigh Ramblers 1-0 with Lee Lashley scoring the goal. Sungate meanwhile cancelled out Suliaman Massaquai’s goal for Canning Town by scoring two of their own: James Smith and Jake Clarke the scorers in Sungate’s 2-1 away win. Unfortunately for Manford Way it means they remain in the drop zone five points adrift of Sungate who sit one place above them. Snaresbrook could have returned to the top of the table if they had picked up at least a point from their game with Herongate Athletic. The trip turned out to be fruitless as Herongate won 3-0 meaning that Shenfield AFC remain top of the table, with Snaresbrook in second, goal difference the deciding factor. With Snaresbrook losing meant that Ramsden Scotia could have leapfrogged into second-place had they won at Old Chelmsfordians. Goals from Martin Mixture and George Williams put paid to that, with Old Chelmsfordians winning the game 2-1 that moves them out of the drop zone. May & Baker E.C. Res. held out until the second half, then Basildon Town unleashed six times without reply. Alfie Phillips and Levi Harbour both bagged braces, with Alex Smith and Keith King scoring a goal each. The win keeps Basildon Town in the promotion hunt as they are only five points off the top two but have games in hand. May & Baker E.C. Res. meanwhile remain winless and bottom of the table. There were also six goals in the Frenford Res. v FC Hamlets encounter, but it was a point shared as the game finished in a 3-3 draw. Chingford Athletic move up to second after a 5-0 success over Lakeside that saw Will Gleeson score twice, with Eric Kelly, Alex Gordon and Louis Bollard also adding to the tally. Adebolu Adeyemi scored for promotion-chasing Beacon Hill Rovers but Ryan went on to win the game 3-1 that moves them a step further away from the relegation issue. Rochford Town were handed an 8-1 defeat by Shoebury Town with Dom Binns claiming four of the goals. Scott Clark added a further hat-trick, with Omar Mahmood also notching for promotion-chasing Shoebury who are now fourth. The only game in the division saw Hutton Res. register a 3-2 away win at Roydon. Ben Rose, Noah Tye and Harry Lane were the Hutton scorers, with Charlie Rider and Micky Copping replying for the hosts. Old Chelmsfordians v Frenford Res.